I’m afraid that I’m kind of a scaredy cat. I’m not paralyzed by fear –just generally wary, mostly of things having to do with high speeds, heights, the dark, and/or threat of mortal peril. I don’t walk around town wearing a helmet anything, but I am not what you would call a risk taker either. I’ve never ridden a roller coaster. I’ve never gone white water rafting. I’ve never been in a hot air balloon or a helicopter. I’ve never gone bungee jumping. Never gone sky diving, wind surfing, or even parasailing. Most of the time this is okay with me. After all, somebody has to stay behind to hold the coats while everyone else is off riding the Screaming Death Loop. But there is a part of me that wonders if I’m missing out by always taking the safe route. As I get older, I find myself thinking that maybe only doing what feels safe and comfortable is kind of cop-out? Maybe it’s just plain boring? Maybe being so rigid when it comes to doing things outside of my comfort zone ends up limiting my range of experiences and therefore my enjoyment of life? Usually, I have these thoughts in brief snippets at times when my most perilous choice is between red or white. But I was faced with such a choice this weekend while in Kansas City with three of my dearest friends for a girl’s weekend away. 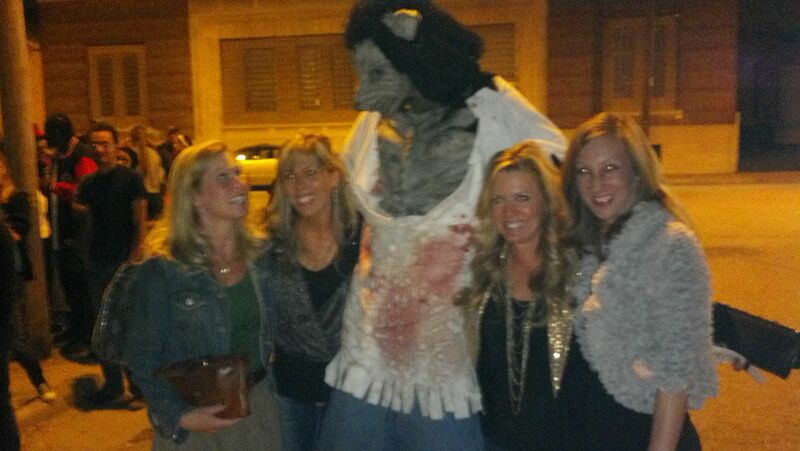 After dinner on Saturday night, the girls thought it would be fun to go to one of Kansas City’s famed haunted houses. The destination in question was The Beast, a four-story “open format” haunted house in which you have to find your way through an abandoned warehouse while being chased by werewolves, chainsaw wielding maniacs, and zombies who pop out of the darkness and scare the s*** out of you. The whole thing culminates at the exit, which is a four-story slide straight down. I told them I would hold their coats. The over-developed part of my brain that specializes in rationalizations told my friends (and myself for that matter), “It’s not that I’m scared to go – I just don’t want to go. I just don’t enjoy that kind of thing.” I mean why would I want to do that when I could be sitting in a hotel lounge somewhere listening to music and sipping a cocktail, right? Being the good friends they are, they were going to let me sit it out. But then a funny thing happened. I started to want to go. I suppose it could have been peer pressure, but I don’t think that was it. It was more like disappointment in myself for wimping out, yet again. 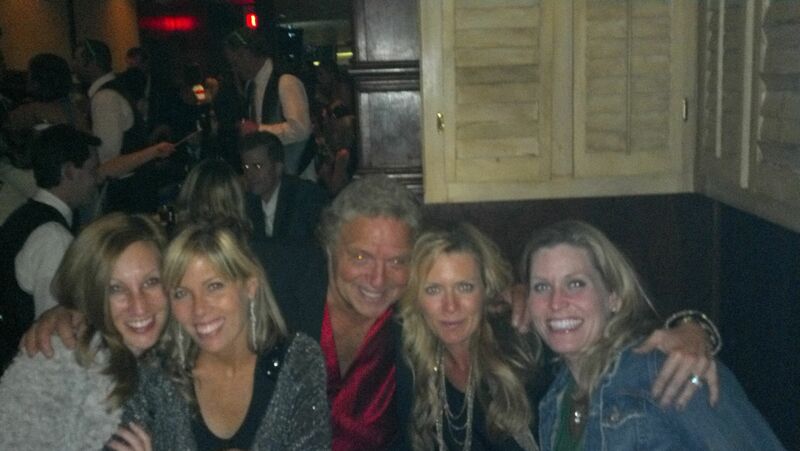 So after having a drink at the bar, it was decided that all four of us would go together. We hopped in a cab to the sketchy part of town, paid the rather exorbitant entrance fee, and took on The Beast. We spent the next 45 minutes shuffling through the warehouse in our high heels (a rookie mistake) with all 8 of our arms linked together tighter than bark on a tree. The four of us screamed at the top of our lungs while gory, spooky creatures jumped out of the blackness and chased us through the winding, fog-machine-fog filled rooms. We were all screaming, yelling, laughing, slightly sweating, and one of us (you know who you are) was cussing like a drunken sailor. We were, in other words, having a wonderful time. After we conquered The Beast, we felt like rock stars. Never mind that as we left we saw many of our fellow Beast Slayers being picked up by their moms in minivans. Never mind that it took nearly 20 minutes for my heart rate to come back to normal. I felt brave! Not just for getting through the haunted house without soiling myself, but because I didn’t let being afraid stop me from doing it. And I’m so glad I did it. It even made me feel a little righteous. I know it was only a haunted house. And I know most people have this experience by the time they are 14, but I always thought I was too chicken to do something like that. And that night, I wasn’t. It felt good. Immediately upon leaving The Beast, we went out for a celebratory glass of champagne at a little piano bar called The Cigar Box, a throwback to the old lounges of back-in-the-day, complete with a crooner covering Frank Sinatra tunes while wearing a silk-shirt-and-smoking jacket combo and one of the worst toupees you’ve ever seen. We sat there for the rest of the night laughing about our experience with The Beast, feeling like we were kids again – blithe, fearless, and silly. The best part was that in the end, The Beast wasn’t even the scariest thing we saw that night. That toupee was downright frightening.